Community Service demonstrates a person’s commitment, volunteerism, and service. It is without pay to a non-profit agency or organization, a group, or an individual in need; it's best defined as “giving back” to the community. Service Learning combines the objectives of community service and volunteerism with learning and curricular objectives. The structure provided by service learning encourages reflection and a demonstration of the knowledge and skills gained from the service opportunity. 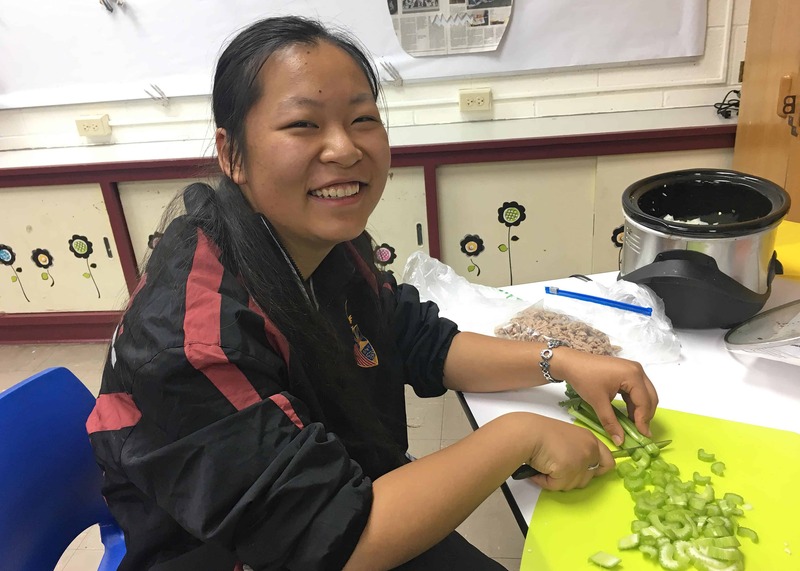 Service learning provides students with a sense of connection to their communities and helps them to gain a better sense of self and others. It simultaneously builds academic, social, and personal skills because all students can experience success. The JROTC program has service learning specifically integrated into the curriculum. Students must complete fifty (50) hours of service by May 1st of their senior year. Service may begin the summer prior to a student’s freshmen year. 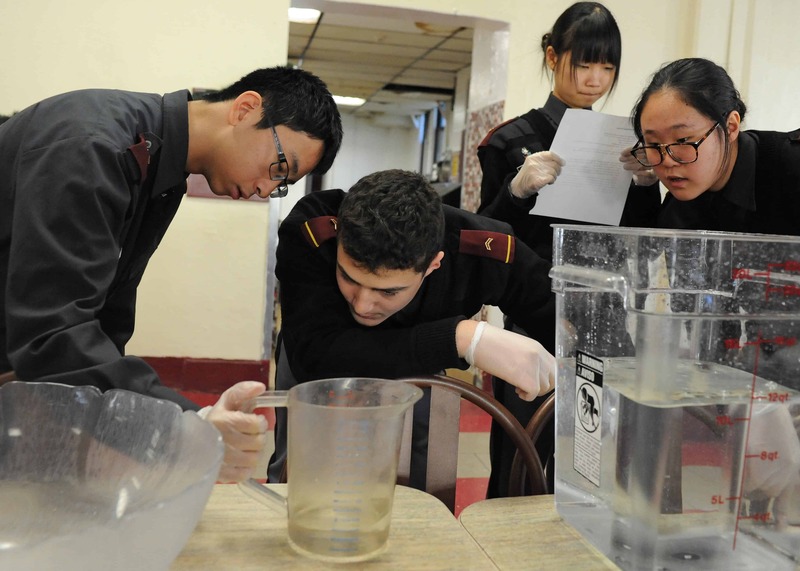 Students who enrolled after the first semester of their freshmen year will complete a pro-rated requirement equal to 6.25 hours times the number of full semesters enrolled at NYMA. Submit all required and official documentation to the Academic Office. All hours must be submitted on official organization letterhead with contact information. The activities that students may participate in vary, but general guidelines require long-term, documented activities. They include: service from after-school and weekend events sponsored by the school and its organizations, volunteer activities outside of the school calendar, or a pre-approved personal program designed by the student where they volunteer at home, elsewhere, or during furloughs. Most service must be performed outside of school hours unless under the direct supervision of a staff member. However, the NYMA Band and Color Guard often have off-campus commitments that count toward community service. Another such opportunity would be peer tutoring. The Math Department chair coordinates math tutoring and the National Honor Society adviser coordinates the academic areas. What does not qualify as community service? Activities done as part of normal cadet activities or requirements do not count towards the community service total. Assisting family members is not considered community service. Time spent traveling to and from a service activity. ActionQuest is run primarily aboard sailing vessels and offers leadership and water sports certification programs. Lifeworks is mainly land based and includes up to 100 hours of service work. 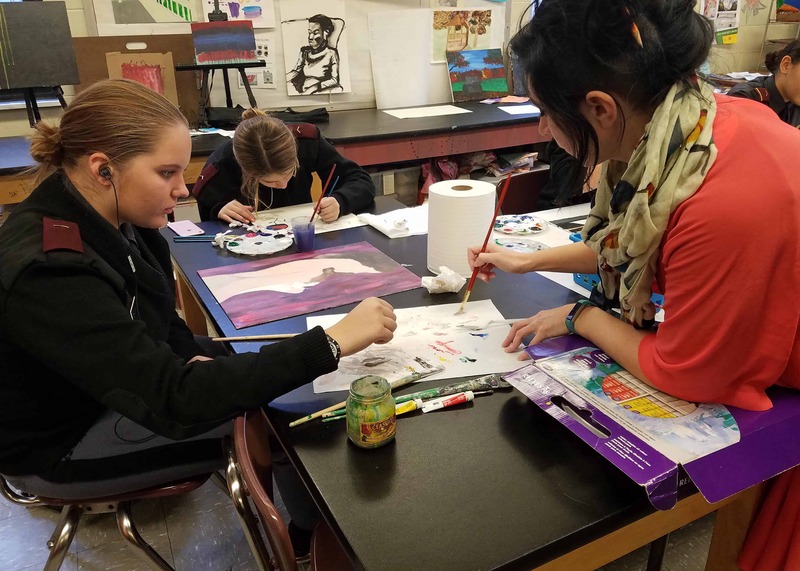 Students take an active role in projects that range from painting and minor construction in the Galapagos Island to helping disabled children in Chinese orphanages. For more information call 1-800-808-2115 or visit www.lifeworks-international.com and www.actionquest.com. We also have brochures in the Academic Office. Academic Treks are college-accredited summer adventures abroad for high school students. They include marine biology, language immersion, wilderness programs, and intensive community service courses. Program locations include the Caribbean, Central and South America, Canada, South Africa, France, China, and Fiji. Academic Trek students earn college credit and up to 55 hrs of community service. Trips are 20-30 days in length in June, July and August. For more information contact 1-888-833-1908, email info@academictreks.com or visit the web site www.academictreks.com. Broadreach are educational summer adventures for teenagers ages 13-19 and include scuba diving, sailing, marine biology, and wilderness programs worldwide. Program locations include the Caribbean, Mexico, Belize, Costa Rica, Honduras, Egypt, Fiji, the Solomon Islands, and Australia. Trips are 14-31 days in length in June, July, and August. For more information please contact 1-888-833-1907, email info@gobroadreach.com or visit www.gobroadreach.com.